Hospitals in Wales are failing to provide access for people who are deaf and hard of hearing, according to a survey carried out by community health councils. 33 of 68 services were found to provide 'unsatisfactory' help. The problems included missing hearing loops or loops that did not work. Another issue for deaf people is the provision of British Sign Language interpreters. 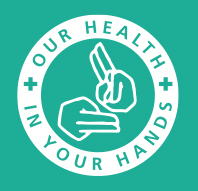 Making sure people have that option is the focus of the Our Health in Your Hands campaign, which Signature delivers with Action on Hearing Loss, the Association of Sign Language Interpreters (ASLI) the British Deaf Association (BDA), the British Society for Mental Health and Deafness (BSMHD) and SignHealth. The findings, reported by the BBC, come at a time when the NHS is consulting on new standards to make health and social care information accessible. The information standard for accessible information will tell health and social care organisations how to make information accessible for disabled people. It explains the formats information should be available in and the support they should offer. The UK Council on Deafness will be responding to the consultation. SignHealth, the deaf health charity, is collecting the opinions of Council members. Signature chief executive and chair of the UK Council on Deafness, Jim Edwards, said: "This is another example of the slow pace of change since the Equality Act came into force in 2010. Four years on and deaf people are still having to fight for access. "The Act makes it clear services should anticipate needs and make adjustments to accommodate them. But almost two years after publishing improvement plans, the health boards in Wales still have a long way to go."